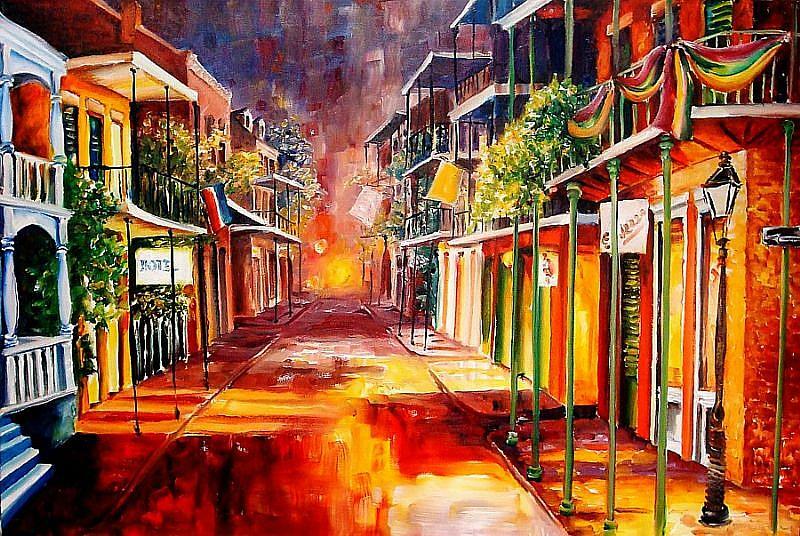 The glow of an evening in the French Quarter is captured in this brilliant Giclee print on gallery wrapped canvas. 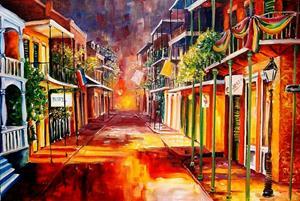 It has been created from my original oil painting, "Twilight in New Orleans." I have published it in a series of only one hundred, and I have signed and embellished each one. 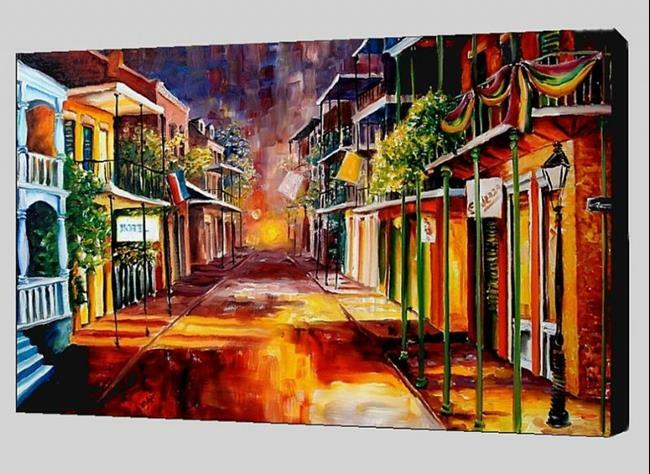 Each gallery wrapped canvas print measures 36" high x 24" wide x 1 1/2" deep with the edges painted black. (This is the largest canvas print ever published of this painting.) It comes with a picture wire kit and is ready to hang. Each print is also signed and numbered on the back, and a certificate of authenticity will be enclosed. Shipping is insured and FREE within the US.